Which one - Sunbeam Espresso Vita EM6200 or Breville the Infuser BES840? Thread: Which one - Sunbeam Espresso Vita EM6200 or Breville the Infuser BES840? Newbie here. Have lurked around the forum on and off for a while but this is my first post. After 14 years loyal service, the family Krups Novo 2300 machine died a few days ago. I'm looking to replace it ASAP and am considering the Sunbeam Espresso Vita EM6200 or the Breville Infuser BES840 and was wondering if anyone can offer an opinion as to why I should pick one over the other - their features seem pretty similar on paper. I'm leaning towards the Sunbeam mostly because it's a tad cheaper for what seams to be same/similar features and the build quality appears a bit sturdier. 2) machine size. I'm extremely limited by the dimensions of the space where the machine can be stored between uses. Some of the bigger/better machines are either too tall, too wide or too heavy to be moving into and out of the cupboard where the machine will have to be stored. 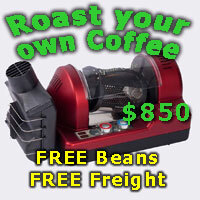 I'll be using an existing Sunbeam EM0450 grinder with the new machine. I believe the Sunbeam uses a 51mm portafilter, whilst the Breville uses a 54mm portafilter. Is this true? What's the benefit of going bigger? If I went with the Sunbeam, I'd be looking to get some non-pressurised filter baskets to use with it in place of the double floor things supplied, as per a recommendation on another post. Having not used either you can take or leave my advice! I had the EM5900, and the EM6200 looks like the exact same machine with a face-lift and faux-pressure gauge. Same very basic and old thermoblock technology. It was an ok machine but not great. For my money I'd buy the Breville. Newer technology, proper low pressure pre infusion instead of short bursts of water, and seemingly better newer water heating design. Actually I'd buy a second hand Silvia, but that wasn't one of your options. Thanks for your reply Bames. Unfortunately it didn't show up when I checked in yesterday morning before heading out to make my purchase (just couldn't let the long weekend go by without a machine to get to know). Thanks for your input anyway - much appreciated. As a nice surprise, it turns out the Sunbeam EM6200 now comes with both double and single wall filter baskets (which isn't mentioned in any of the doco). Yay for me as I don't have to go out and invest in a non-pressurised option and could get straight to work on optimising grind etc.